← World’s Most Unique Campsite! and gone to wildlife photography heaven. In the course of the past two and half weeks, I’ve been fortunate to see most of the wildlife I had envisioned seeing on this trip. Some of the wildlife are remarkable in and of themselves. 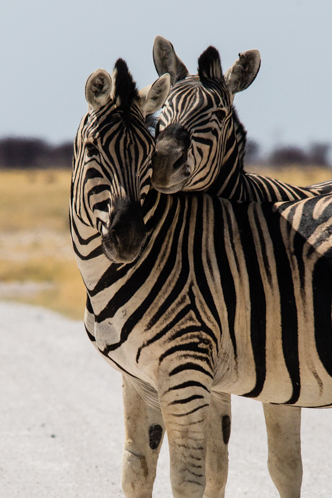 We’re all familiar with what elephants and giraffe and zebra look like. It isn’t remarkable to see them. What is remarkable to me is how many there are roaming like the herds of cattle I see regularly in Kansas. We’ve all been to a zoo and we’ve see a handful of elephant or giraffe or zebra. Probably even lions and leopards and tigers. 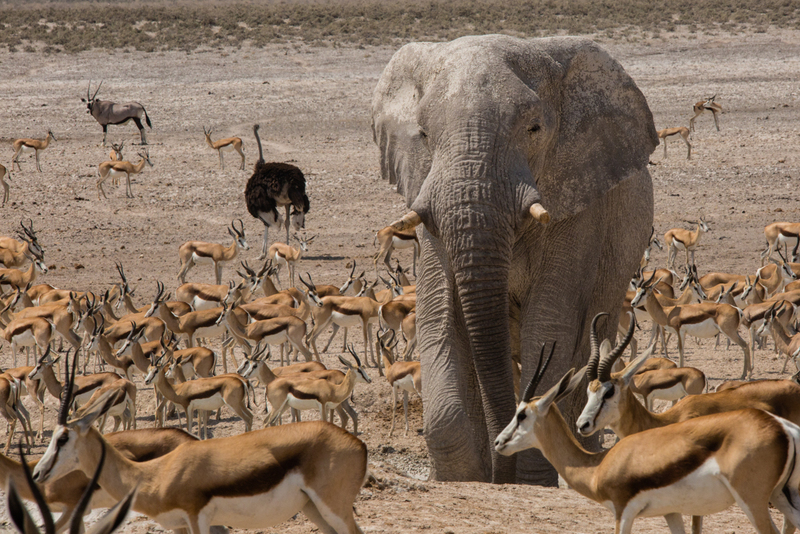 But here in southern Africa, I’ve seen zebra and elephants in groups like I see cattle at home. And here you may have to stop your car on the road to let them pass. I don’t do that at home. 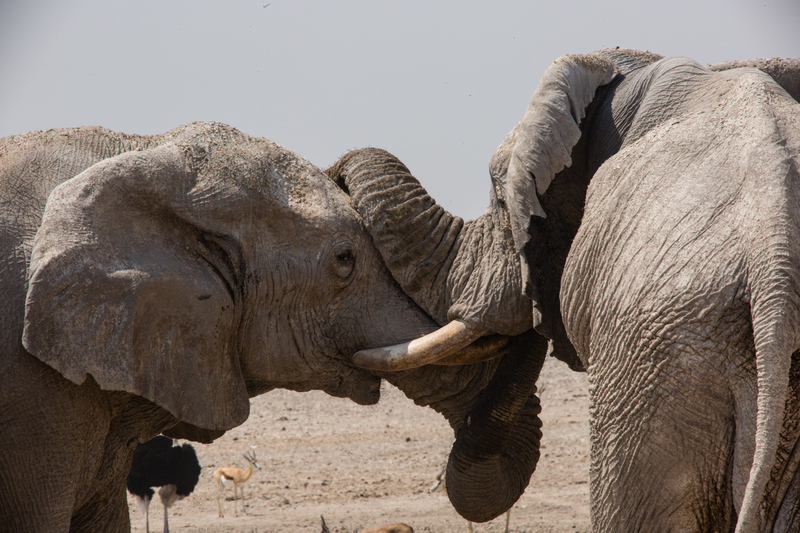 This past Tuesday I signed up for a morning game drive in Etosha National Park in northern Namibia at one of the three resort/campsites within the park. Our group met at 6am with our guides. There was six in one safari truck and five (I’m the single) in the other. Our guide told us up front. “We’re going to go see what we can find. 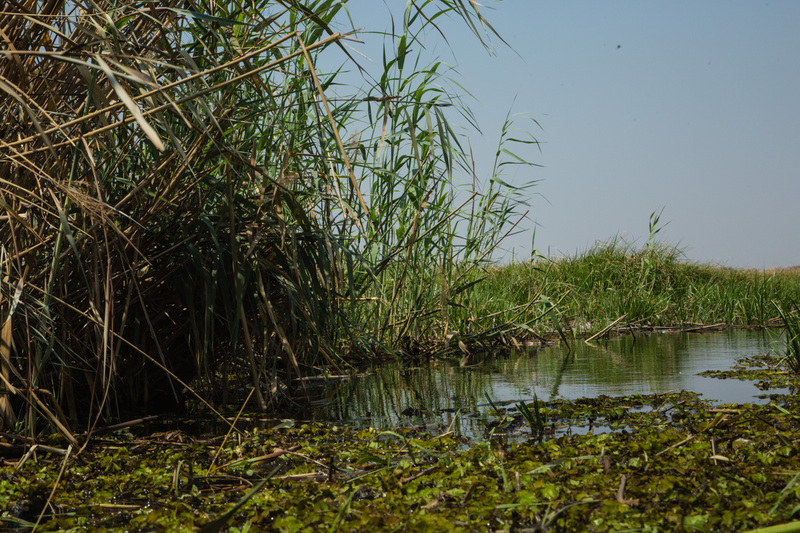 There are no guarantees.” Of course, everyone wants to see predators…lions, leopards and maybe a cheetah. Lions are the easiest of the three…but there is no guarantee. First, it is cold. All of us are wrapped up in fleece ponchos to try to keep warm. 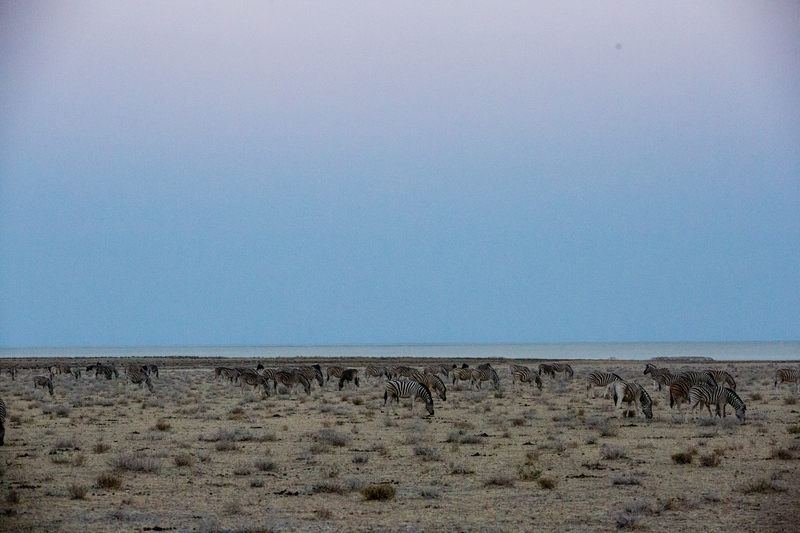 It’s not even daylight yet and we come across a herd of blue wildebeest. Great! Not enough light to photograph it but interesting nonetheless. 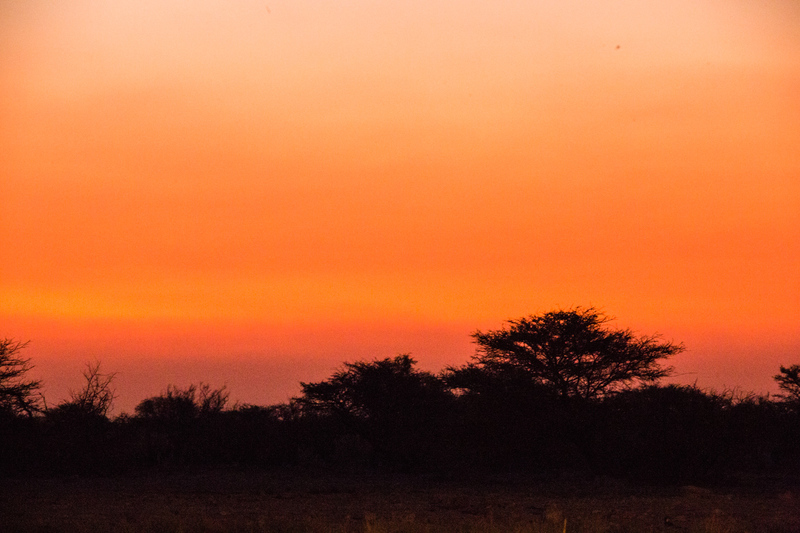 As night turns to day, we find groups of wildebeest, sprinkbok and area filled with a large dazzle of zebra (remember the test, they’re not a herd, they’re a dazzle). 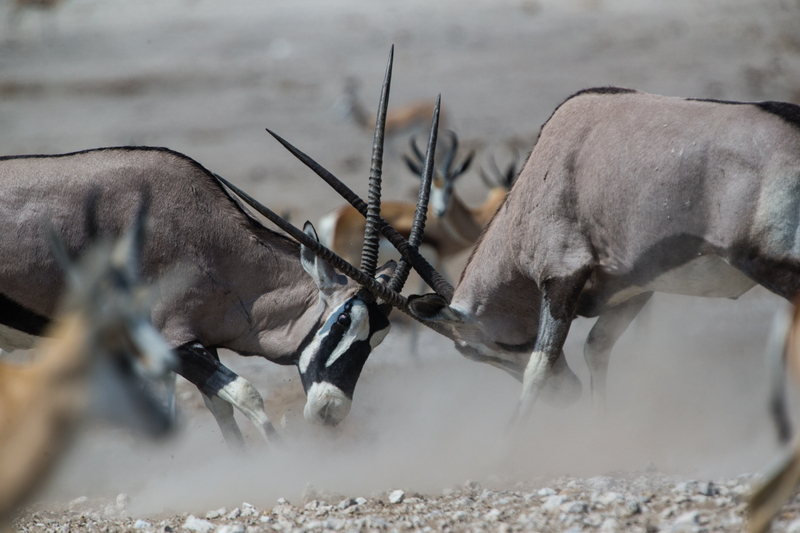 We moved on…past another herd of blue wildebeest. 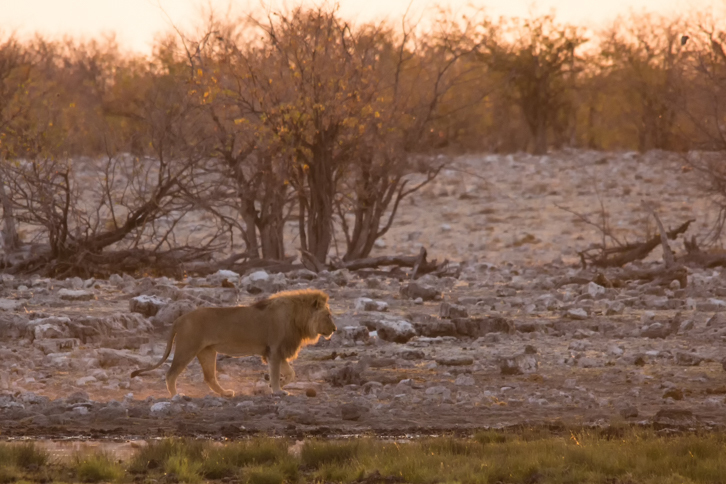 Then we move to a waterhole and we find two large male lions. One is drinking and the other is simply lying there. 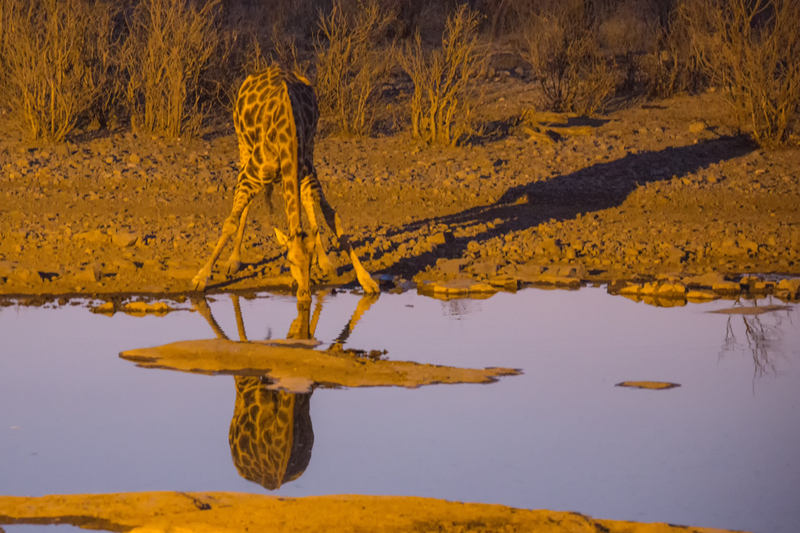 The drinking one finishes and moves away from the waterhole. We return toward the end of our game drive and both of them are stretched out and asleep. 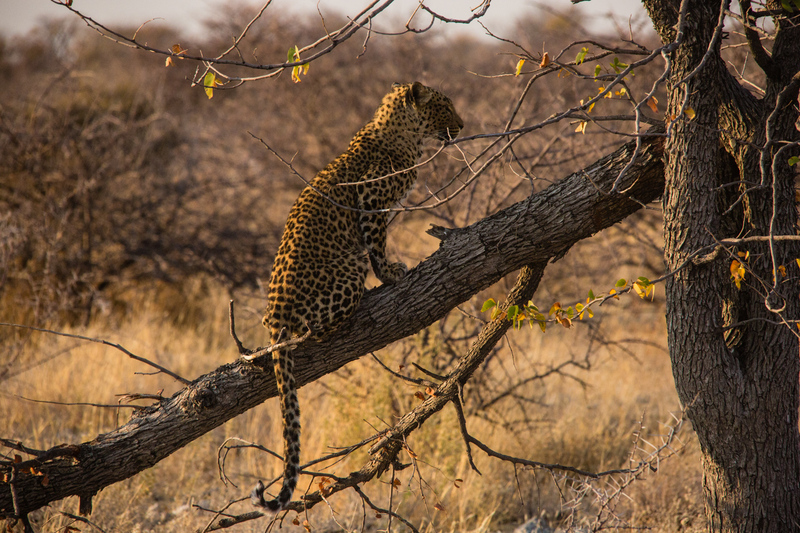 They hunt during the night and spend most of their day in the shade of a tree to stay cool. The best time to find them is early morning. It’s not the best shot in the world. It’s backlit and some distance away but it’s clear what it is. 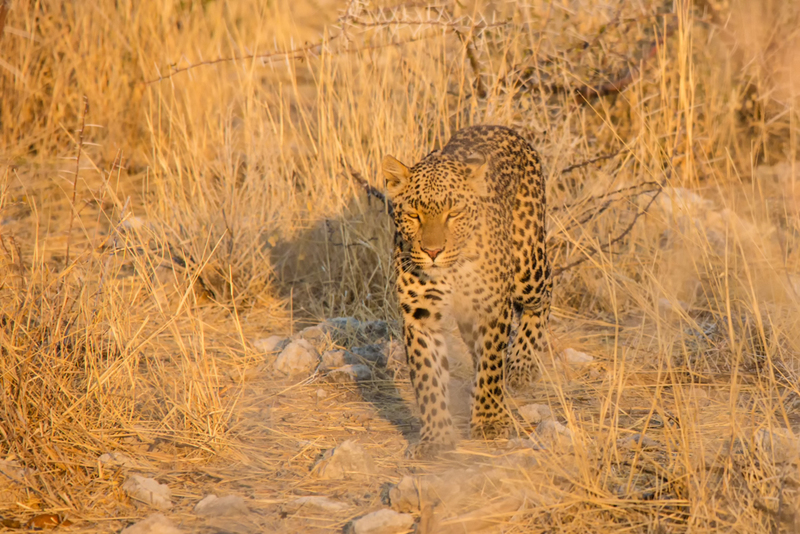 We take off and shortly come across a leopard at the edge of the bush. We follow her (the guide told me it was a she) for about ten minutes as she moved along and eventually hopped up on a tree branch. 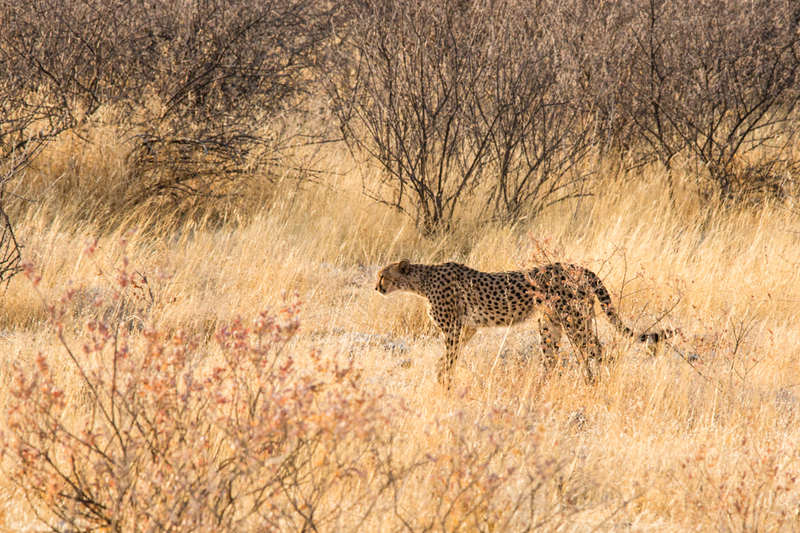 Meanwhile, our second safari vehicle had spotted a cheetah not far from where we were and we hurried to that location. For comparison purposes, here’s the leopard on the left and cheetah on the right. 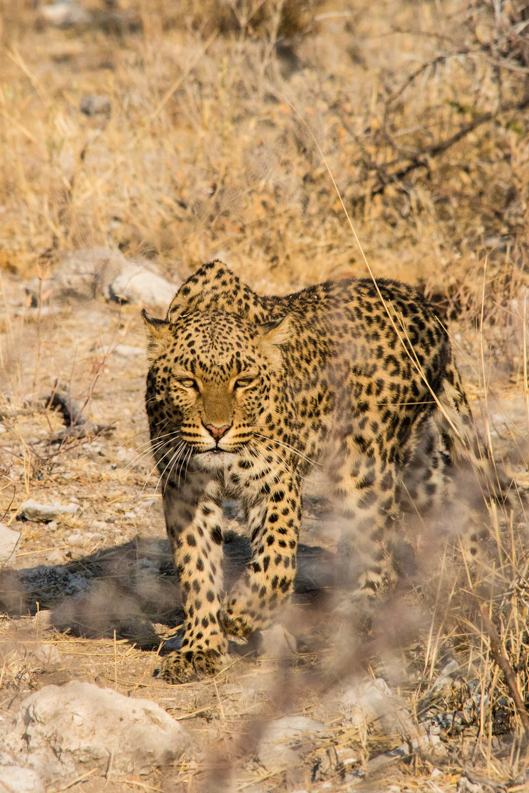 Notice the leopard has the shorter neck and larger head. The cheetah is the fastest cat alive and can do close to 60 mph for a short distance. If it doesn’t catch it’s prey in that 30 seconds, it has to rest before making another run. We didn’t get a better look at the cheetah. We had it for a minute or so and then it disappeared into the bush. 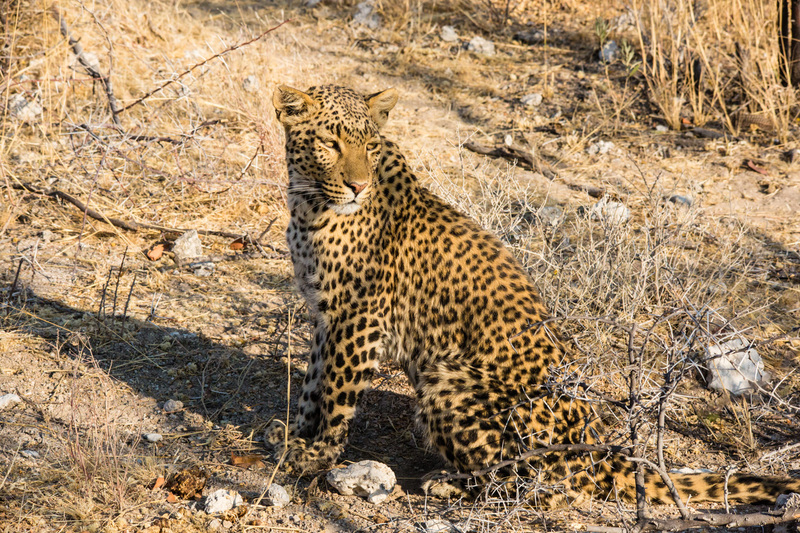 The leopard stayed around for nearly a half hour. Crossing the road in front of us and eventually ending up about 10 feet from our vehicle. Everyone on the truck was excited including our driver/guide. 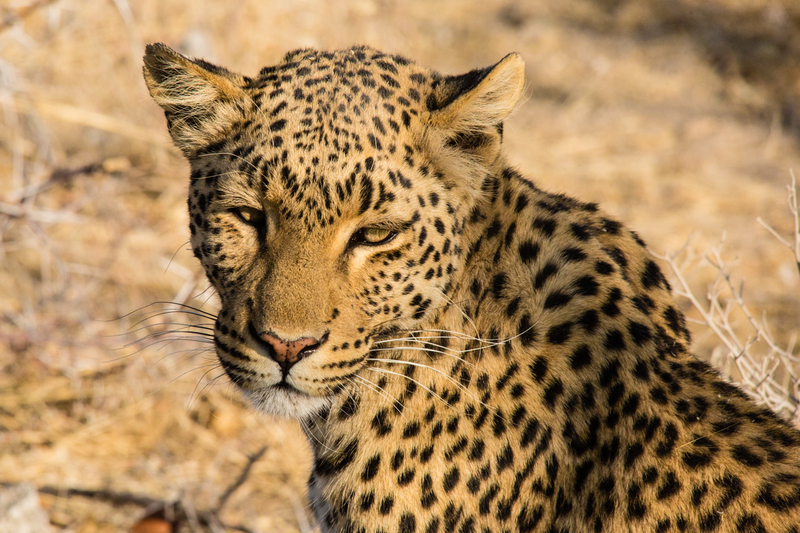 It’s unusual to see a leopard. 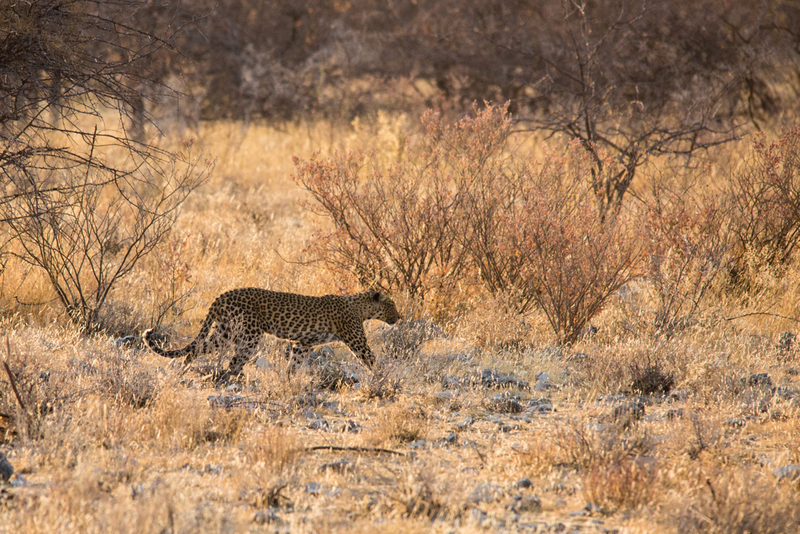 It’s extremely rare to see both a leopard and a cheetah the same morning. 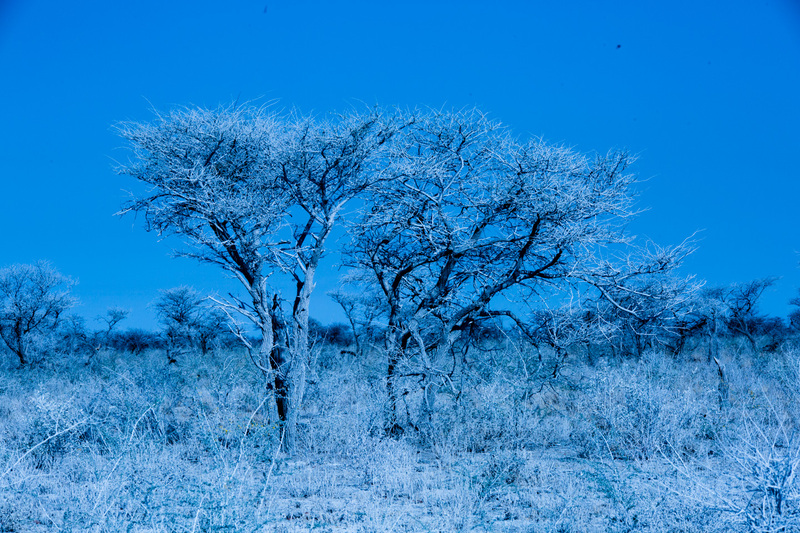 If Namibia had a lottery, I’d have bought a ticket! It was an exciting morning. 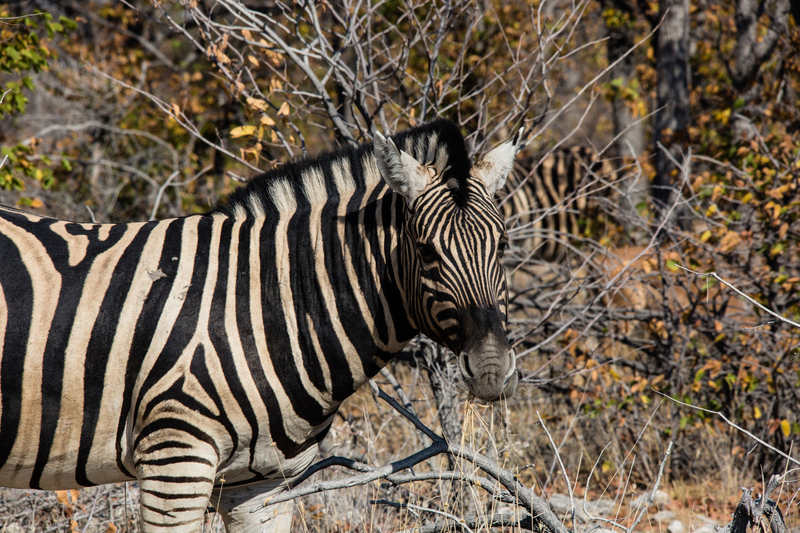 We continued our game drive and as the light was improving we picked up a few more animals. 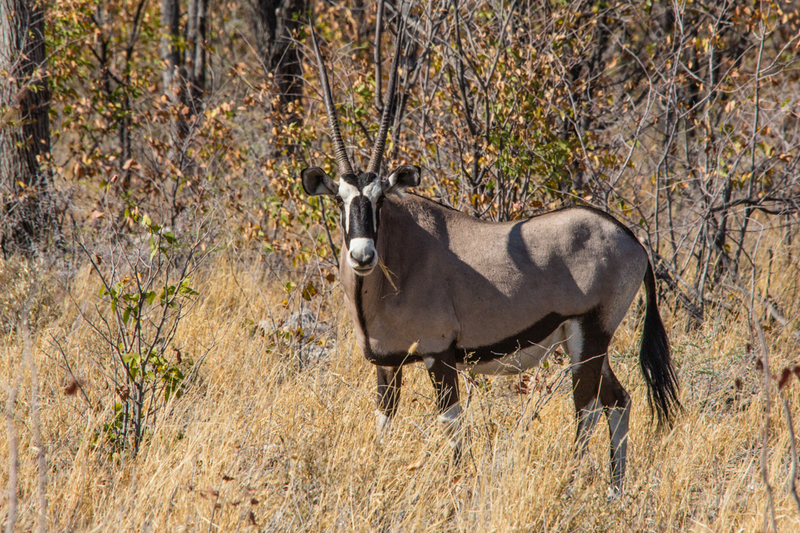 A Gemsbok or Oryk antelope. This is a blue wildebeest. Actually it’s grey but that’s what kind it is. 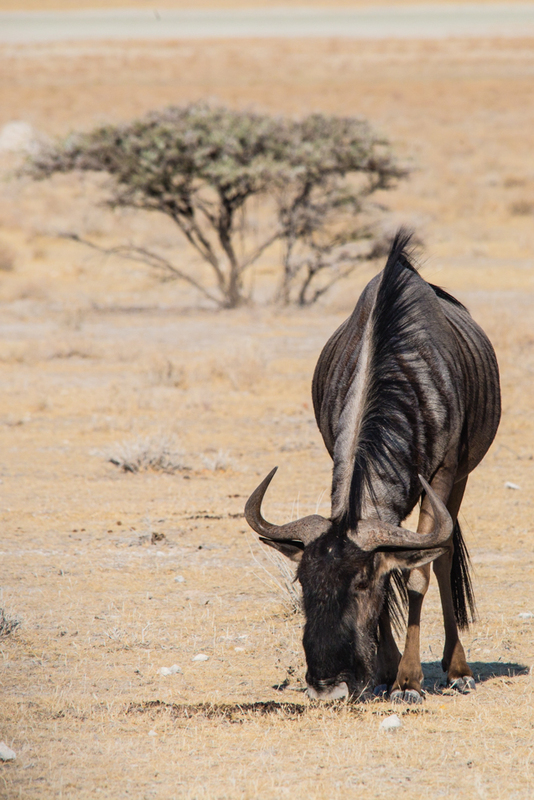 There are also black wildebeest but I haven’t seen one on the trip. 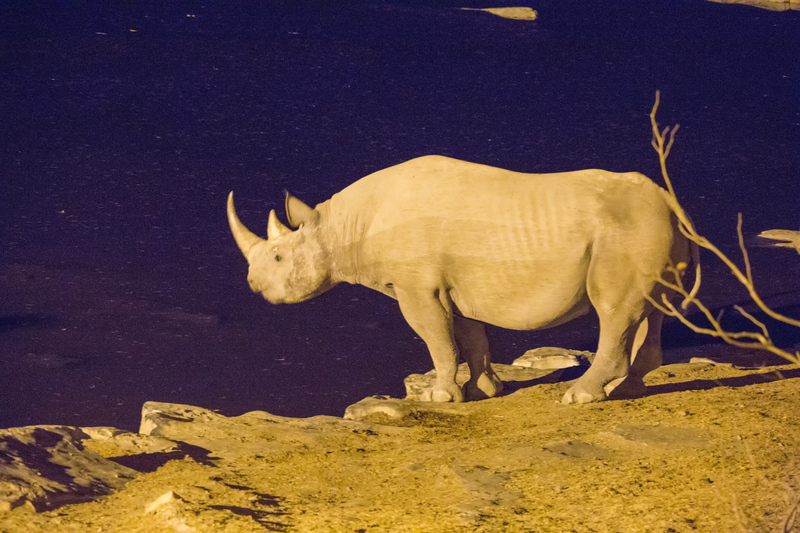 Kassie and I saw what we thought, at the time, was one in the rhino sanctuary but after looking at it again, I’m sure it was a blue wildebeest. They have a sloped back that looks like it’s back legs are shorter than the front ones. 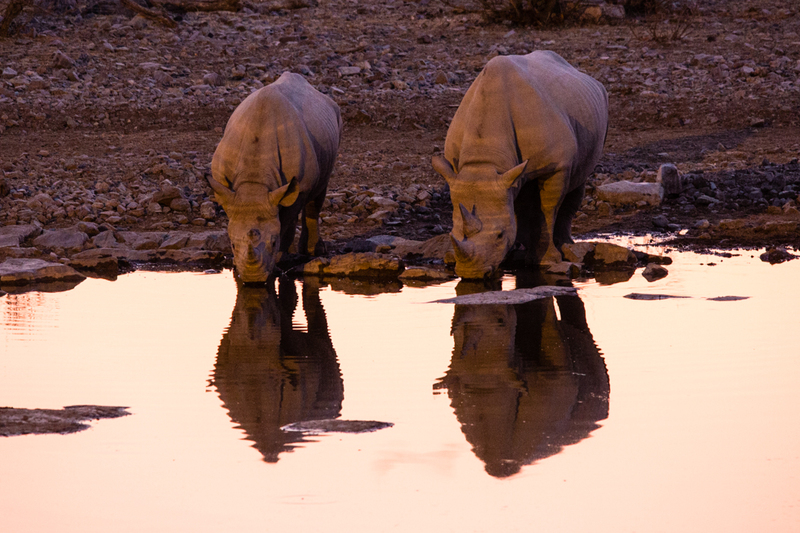 One of the attractions of the three resort/campsites inside Etosha are the waterholes. Especially since they are floodlit at night. 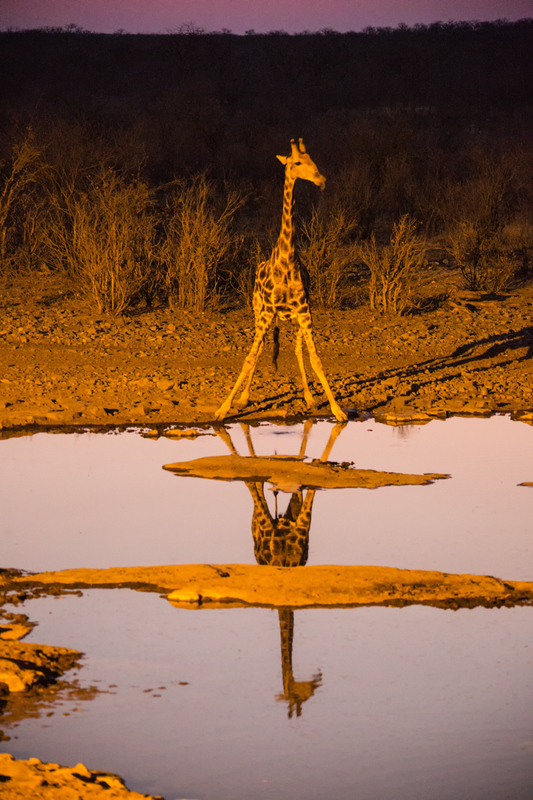 (There was also a lit waterhole at another camp, Senyati, in Botswana.) 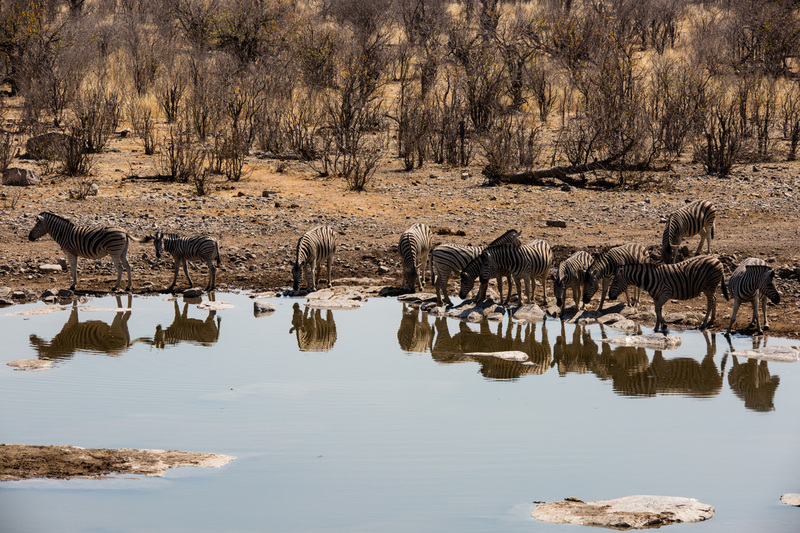 These waterholes are like small amphitheaters. There’s usually some kind of natural rock seating, maybe a cover for the sun for viewers to sit and watch whatever animals show up….and it’s quiet. Only whispers between viewers. There is also usually some kind of barricade. A sloping wire fence that keeps the animals from the crowd. At sunset, there could be 50 to a 100 people there. 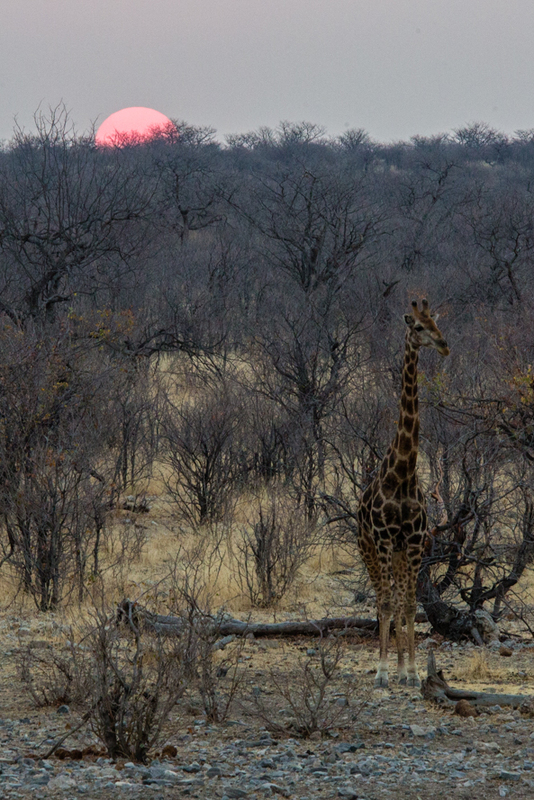 During the day, giraffe, elephant, rhino, jackal are regular visitors. Occasionally a lion may show but I didn’t see one and I only heard of one from another camper. It apparently showed up about 10:30pm one night. The floodlights give them the orange cast. It’s difficult to totally remove it in editing. 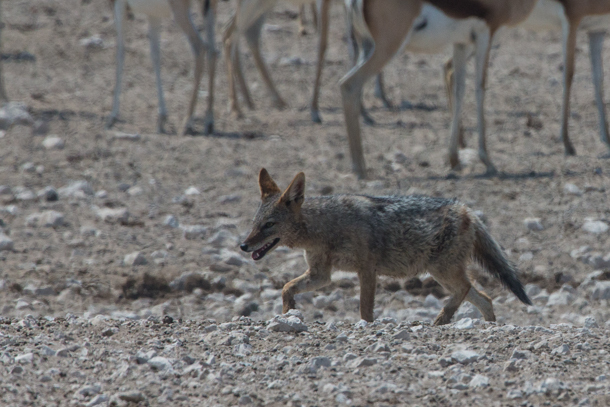 The second day in Etosha I drove out to a nearby waterhole which was packed with springbok, gemsbok, jackal, ostrich and a small group of three elephant. After a while, you become bored with springbox in particular…along with impala. They’re everywhere and you ignore them. 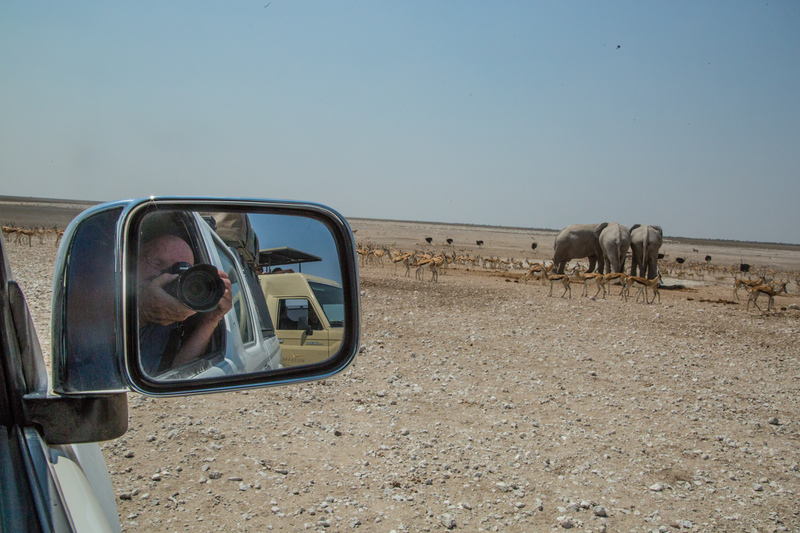 A selfie in the side mirror….You can see another vehicle behind me. There was probably ten vehicles along the rock barricade angling for a view. The only thing between us and the wildlife was a row of rocks about the size of a basketball providing a boundary for us. Here’s a couple of shots I happen to like. The blue trees aren’t the actual color. Just something I tried and liked. 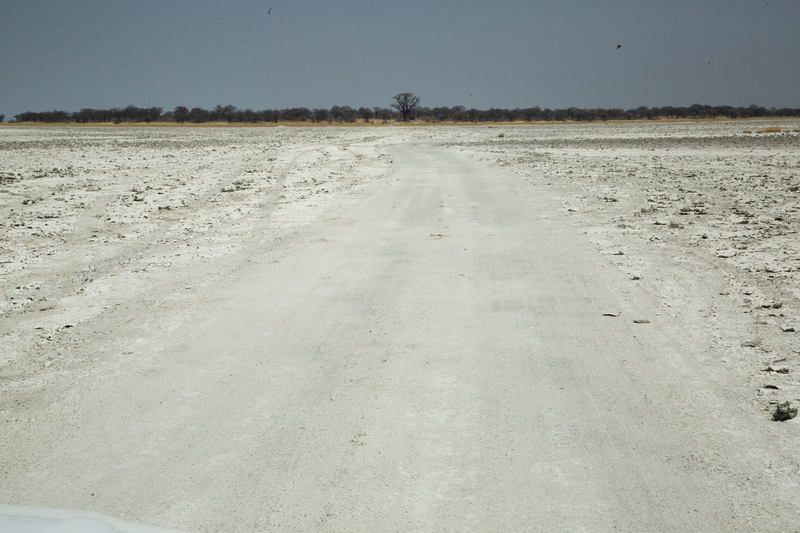 Prior to leaving Botswana, I camped for three days at a place called Audi Camp. 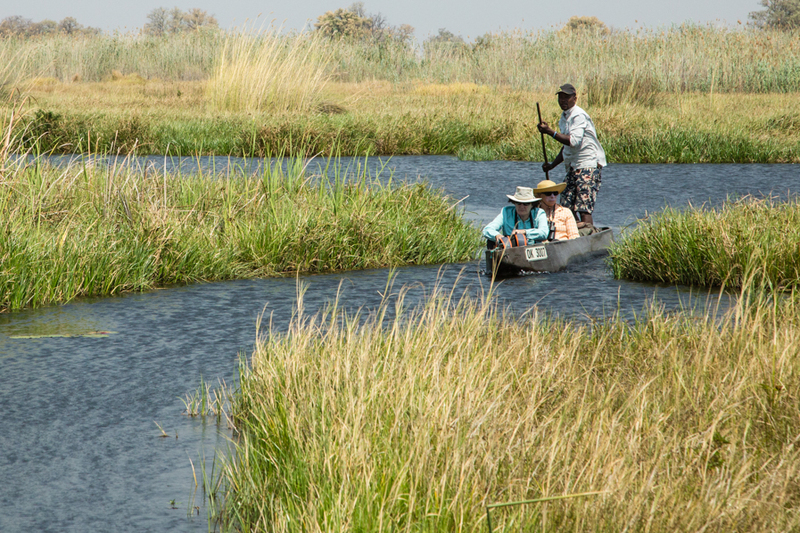 It’s located on the eastern side of the Okavango Delta. 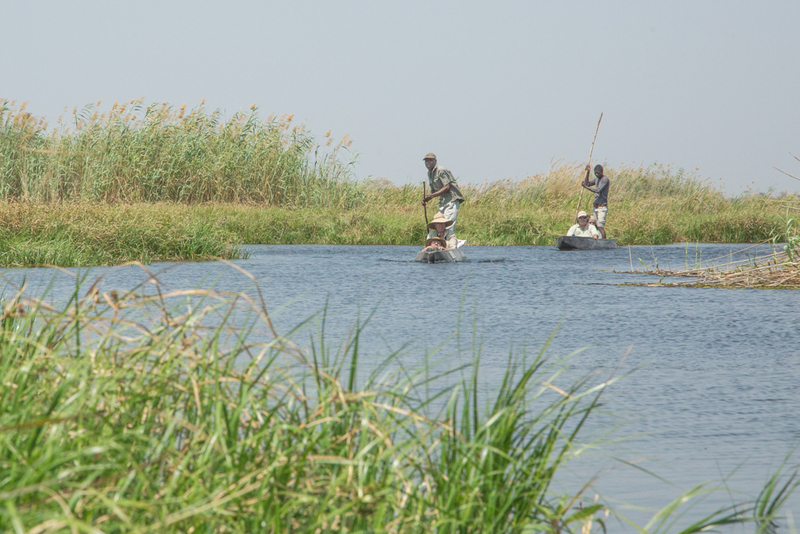 I spend one day on a mokoro trip. 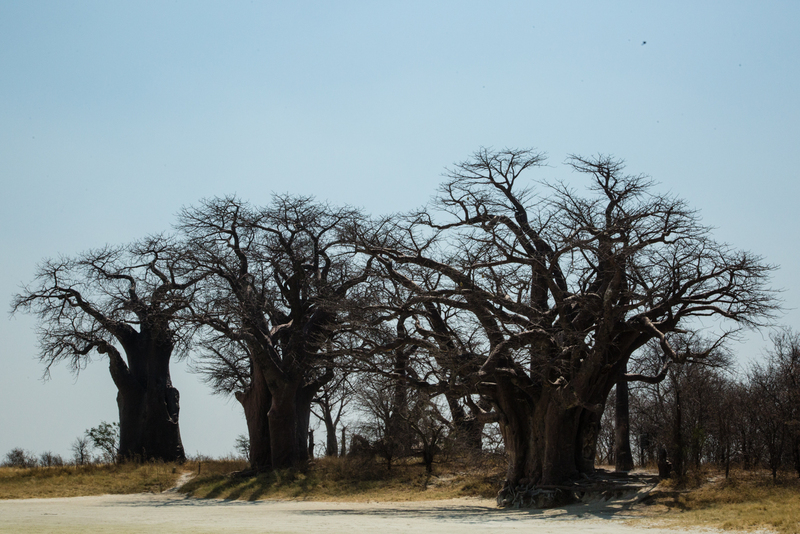 The traditional mokoro’s are constructed from tree trunks but the government has outlawed anyone from building any more fearing the tree used would become extinct. Now they’re built of fiberglass. My poler, Tour (pronounced tore) said he preferred the fiberglass ones since the wood boats took three guys a month to build. 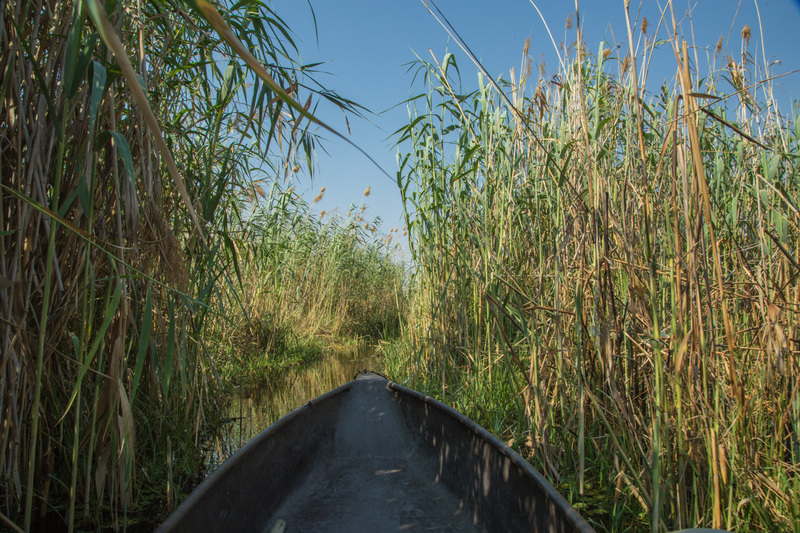 We moved through the reeds very slowing for about an hour and a half. 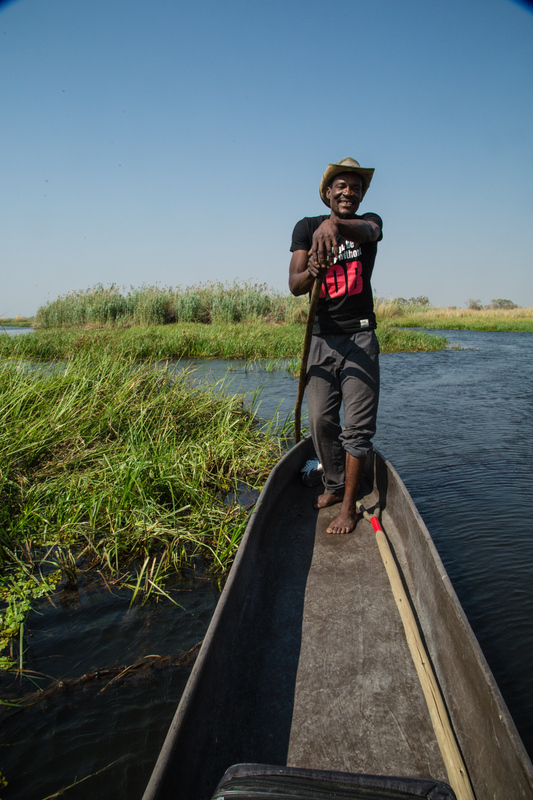 Went ashore on an island and hiked for another hour before having a packed lunch…seeing some zebra and elephants and then going back to the mokoro launch area. I went out in a fiberglass one but returned in an original wood one. During the raining season this entire area floods. 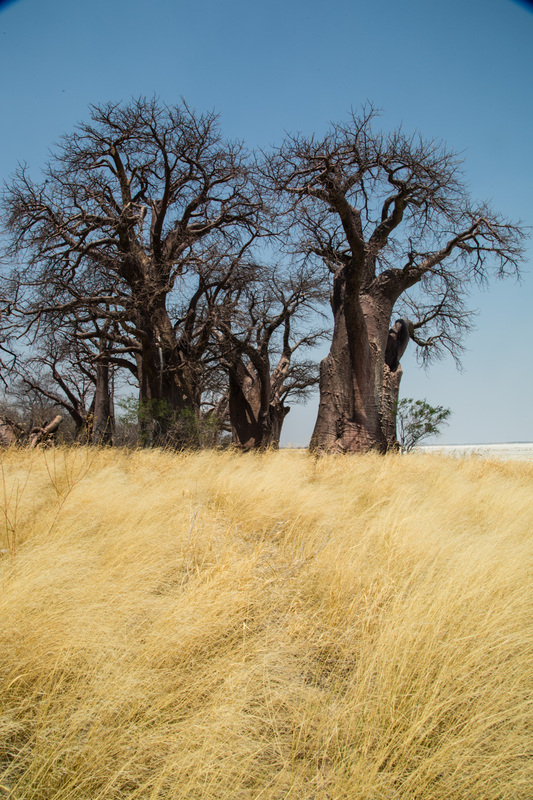 On the road from Audi Camp to the west side of the Okavango Delta, I took a side trip to Baine’s Baobabs inside Nxai Pan National Park. They were discovered in the 1860’s by the British explorer and artist Thomas Baines. He made them famous in his paintings. These trees live for about 3000 years and have huge trunks. It is difficult to age them because they become hollow as they grow. Kassie and I saw one in Moremi Gorge that was believed to be about 800 years old. 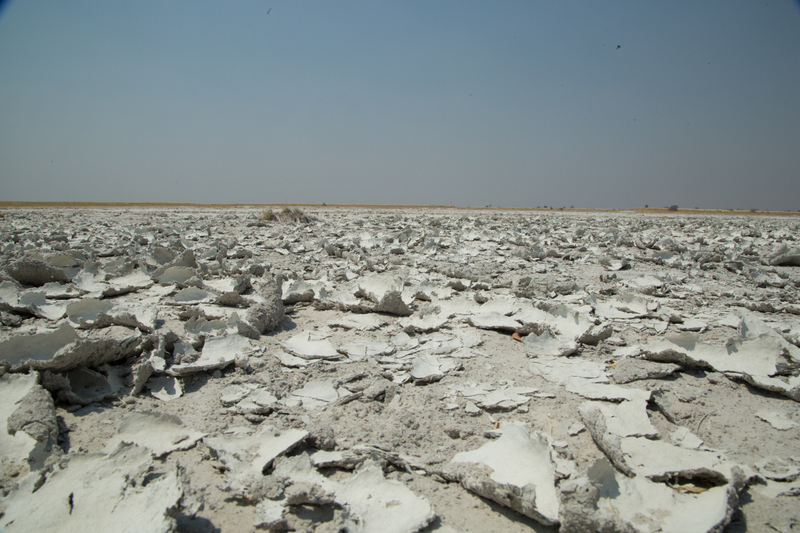 They are on the edge of large salt pan for which the park is named. The road is really just a track from previous vehicles. Thanks for following my blog. Time for breakfast and move on.